The discovery this week of a second outbreak of a serious and highly infectious disease in China’s massive pig population has the potential to dramatically disrupt world meat protein trade flows for all species, including beef, independent analyst Simon Quilty suggests…..
That means the futures price adjustment reached its daily allowable maximum price rise of 300 points for the period of October to February, and it was quoted ‘extremely firm’ for all other months on the board. African Swine Fever is highly infectious and once contaminated, pig die within days. The disease has been present in Russia and the Ukraine since 2007, and has had devastating consequences within these countries swine populations, as it has been shown to be almost impossible to contain. The nature of the China’s outbreak and the widespread location of infected hogs has all the hallmarks of a similar problem for China, as it has been for Russia and the Ukraine. And given China’s heavy reliance on pork as an animal protein, and the fact it controls about 25pc of the entire world’s pig population, the implications are profound. The concerning point is that this second Chinese outbreak occurred thousands of kilometres from the first, reported a fortnight ago apart in northeastern province of Liaoning. In the first episode, thousands of pigs were culled in an attempt to contain the disease. The fact that the second outbreak has been fond in Zhengzhou in central Henan province, having travelled thousands of kilometres from a completely different region of a northern eastern province of Heilongjiang, implies that all regions in between are susceptible. The density of the 433 million hogs that reside in China is 1.4 hogs per acre, compared with Russia, where the population density is just 0.07 hogs per acre – a 20 fold difference. With so many hogs existing domestically in China’s ‘back yards’ across the country, a real challenge arises in trying to control a highly infectious disease. 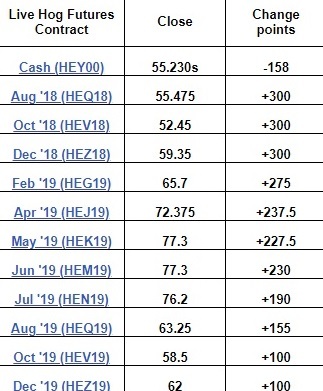 The Chicago Mercantile Exchange’s Hog Futures today responded dramatically early in the day to the news of the second outbreak, with all the nearby months jumping in price and reaching the 300 point limit on the day, with the further-out months also increasing in price. December 2019 was up only 100 points, however, implying that the global shortage by December next year might be not as dramatic as what the market believes in the short-term. Customers I deal with in the US withdrew today on out-front pricing – wanting to reassess levels for 2019, as they try to gauge the impact of African Swine Flu. Most believing the pork export markets will pick up, with or without tariffs. Buyers have been left somewhat dazed by the change in market sentiment and are still unconvinced about where this is heading. To date the only solution to addressing the problem is culling both infected and potentially infected pigs from surrounding areas, which in China’s case, can mean many thousands of animals that may need to be slaughtered. This in turn could see the glut of global pork that I referred to in my previous discussion paper (published on Beef Central three weeks ago), turning into a global pork deficit in a very short period. This is effectively a game-changer in global protein supplies for years to come, which may see global meat prices (all species) strengthen, and not fall, as a result. The following are some critical numbers to put the situation into context. In discussions with global pork market experts in the US, they believe the ramifications of this disease outbreak are enormous, with cull rates being potentially as high as 30pc of China’s entire hog population or 130 million head. These views are based on previous problems of containing the ASF virus in Russia and the Ukraine. The impact of 130 million head of hogs is 17pc of global pork production. To put this in perspective, global exports of pork only make up 7.5pc of global production, and therefore if all global pork exports were diverted into China today to meet a 30pc hog cull shortfall, it would barely meet half of the shortfall needs of the Chinese market. There simply isn’t enough export pork globally at the moment to fill this void. The table below outlines the per capita consumption in China, and what a crucial role pork plays in the everyday diet of Chinese people. When looking at meat consumption per head within China, pork is a clear standout at 30.8kg/person/year. Should the pig cull rate be as extensive as has been suggested, there will be other proteins to fill the void in the protein demand balance sheet – poultry, beef and sheep meat will all play a role – with no doubt poultry the quickest in its ability to increase production and respond. But beef and sheepmeat will also be drawn into this demand equation. The ability of pork supply markets to respond to this is an interesting challenge, given that the current US tariff imposed by China is at 78.2pc, which still creates an enormous barrier as one of the worlds key export countries. But what I believe is likely to happen is global pork displacement, whereby other key export markets are likely to divert pork into China, which in turn will create export opportunities for US pork into those markets that once took EU, Brazilian and Canadian pork (60pc of global export trade) or any other non US supplier. It’s a domino effect, and the pork flows to where it is most needed at the best price. Due to the 78.2pc tariff on US beef, this will not flow to China, but is likely to fill the other market holes left by other suppliers who will sell to China. Among major global pork exporters, the EU is the largest, accounting for 2.9 million tonnes (34.8pc of world trade) folllowed by the US (2.67mt, 32.1pc), Canada (1.355mt, 16.2pc), Brazil (625,000t, 7.5pc), Chile (185,000t, 2.2pc), Other (600,000t, 7.2pc). What is interesting is that 26pc of US pork production is exported, and with a potential of global pork demand increasing due to China’s potential disease-driven shortage, this will see pork prices climb domestically in the US, as increased export demand ‘pulls’ domestic US pork prices higher. This outlook is what is being priced in Live Hog Futures this week, with the 300 point up limit movement we saw overnight. This in turn is supportive of US beef and chicken prices as US domestic pork prices are likely to go up, with a global shortage. In my paper of two weeks ago the concern was the reverse, where prior to this pig disease detection in China, we were looking down the barrel of a global glut in pork. But within a very short space of time, it could know be a global deficit of pork. Talking with US analysts today, one scenario was that this would see tightening of pork globally within three months, as China authorities are likely to move quickly to ‘kill the problem’ which could see a rise in 2019 average pork cut-out of close to 10pc and a more moderate rise of 3pc in 2020. The strength in pork with the US, I believe, could see price support for domestic US beef cut-out prices for 2019 of 8pc and a more moderate rise of 2pc in 2020. There is no doubt the current drought in the US adds another layer of complexity to these forecasts, with USDA latest projections down slightly for both US pork and beef production in the last half of 2018, but up slightly for next year. As readers will appreciate, it is very early to be making too many assumptions on where this could head, but there is no doubt that the ramifications for the global meat industry are enormous. And if/when rain comes to Australia, the potential rebound in Australian cattle prices, should the scenarios outlined in this paper come to fruition, will also be enormous. The improved US domestic beef prices I have forecast to result in a 5.8pc increase in 2019 and a more moderate 2.2pc increase in 2020. If these forecasts are correct, then we are likely to see a sustained improvement in global beef prices and an extended 4-5 year ‘Super Demand Cycle’ that is unprecedented. At times I am amazed how quickly changes in global meat markets can occur, and the latest outbreak of African Swine Fever in China is one of those moments that can take your breath away. 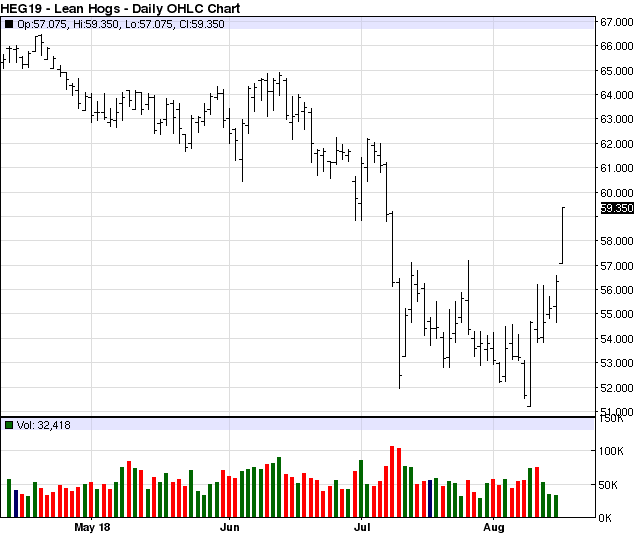 It is unfortunately at the expense of one market that opportunity is often created in other markets – today’s rally in US Hog Futures is an important tell-tale sign of things to come, and the enormity of this problem has not been lost on the US hogs market today. I have not mentioned in the body of this paper the progress the US has had with Mexico in recent NAFTA trade talks. The current 20pc duty may also be removed sooner than later with the net affect being a further lift in US domestic levels – once again giving more support for global pork and beef prices. The saying that ‘a week is a long time in politics’, is equally applicable in the global meat trade at present. In today’s global meat industry, 24 hours can feel like a lifetime and the last 24 hours is proof of that. Click here to view Simon Quilty’s earlier discussion paper about the potential global glut of pork, written before the recent events in China. Thanks Stuart and John for your feedback. With the announcement 2 days ago of a 3rd outbreak African Swine Fever is a growing problem within China. US pork experts believe a potential 30% cull will be needed to manage the disease based on studying the ASF outbreaks in Russia and the Ukraine – this would see a significant tightening of global pork supply and a potential increase in pricing. US tariffs into China at 78.2% has seen US pork meat exports stop 2-3 weeks ago with now only US pork offals being shipped – the tariffs are having an impact. 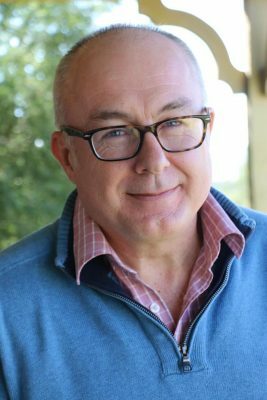 Even if China does not drop the tariffs I believe US export pork prices are likely to go higher if the large China pig cull occurs due to global pork displacement – Japan, Australia and all key import countries will be drawn into the tighter global pork supplies – as Stuart alluded giving relief to Australian pork producers. Taiwan once was a major supplier to Japan but this stopped back in 1996 and last year saw Taiwan as a net importer of 111,000 mt of pork. John your point on disrupting global pork imports to key import countries like Japan is valid and as stated is likely to see pork prices rise – this in turn could see increased demand for other protein sources such as beef and sheepmeat. With or without removal of tariffs I believe with a potential China swine cull of this size it will result in the global pork/protein complex becoming very tight which in turn is likely to lift all protein prices globally for many years to come. If my memory serves me, Taiwan is the major supplier of pork to Japan. If the swine flu finds its way across to Taiwan, this will severely disrupt meat protein supply in Japan. Does China have a new tariff on pork from the USA? They may need to reconsider if they are looking to source large tonnage. What do you think Simon? Great insights from the oracle Quilty . The Australian pork producers have long been wading through the roller coaster of protein profitability. Perhaps the confluence of a devastating local drought and potential export demand in another devastating prospect will see positive outcomes for their operations. They maybe able to salvage a few years of prosperity in the wake of such turmoil in other sectors.